Mostly, I write fiction. 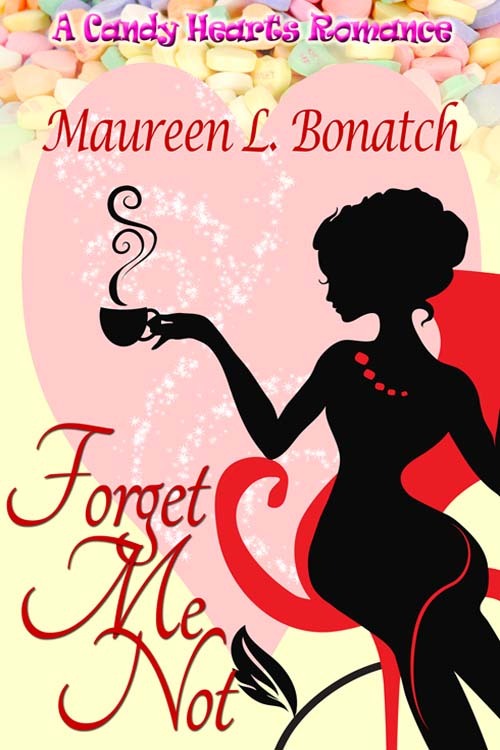 You'll find my novels listed on Amazon under my author profile. 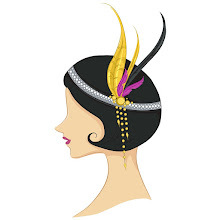 Occasionally, I write a blog post, either here or at my website. And rarely, I write a poem. I love poetry. It is the stripped-to-the-essence power of words. This poem is my celebration of poetry and our encounter with it. 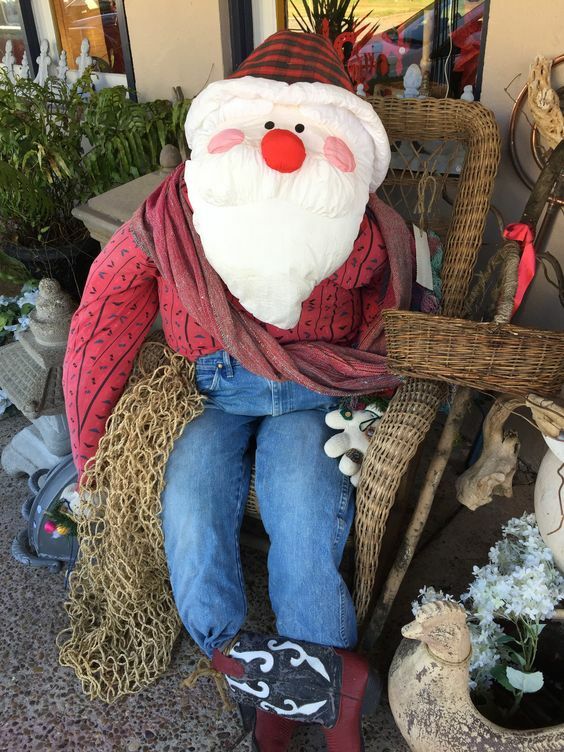 My biggest problem every Christmas is not getting the shopping done. It's figuring out what in the world to get everyone. It took me a while, but I've come up with a few ideas that I want to share. And perhaps they might help you through this holiday conundrum as well. Friends: I've started picking a "theme" for each of my friends, and then buying items that match that theme. For instance, one girlfriend loves owls, so I've gotten her owl socks, an owl necklace, an owl t-shirt, and a cute owl coin purse. Another friend is into horses, so ditto for her (including a travel mug with a horse on it, etc.) Each successive year I've assigned a new theme for each of them, and extended that to include their birthdays. Male Family Members: You can never go wrong if they're into sports. Anything with their favorite teams logo on it will work. Female Family Members: Themes work well here, too. What also helps is knowing their favorite color, and finding items in that color. What to avoid: Unless specifically requested, don't buy anyone underwear, cooking appliances, or cleaning appliances. Learn from my mistakes. Of course, if all else fails, gift cards to either their favorite stores or restaurants are never wrong. So, how's it going for you? Have you started yet? Or are you one of those who finished up before Thanksgiving? Now Available In Its Original Format! 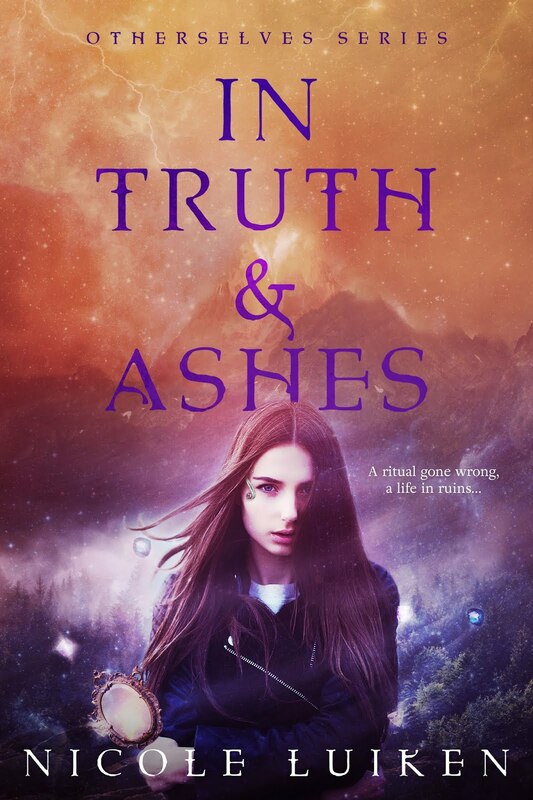 "GUEST INTERVIEW: TJ NICHOLS" - Shona Husk quizzes author TJ Nichols about her urban fantasy trilogy, Studies in Demonology. "WISHBONES - A HISTORY OF LORE AND LUCK" - Author Dani Harper explores the facts and folklore around the surprisingly ancient tradition of "breaking the wishbone" on Here Be Magic. "HAVE A HOWLY WOLFENOOT!" 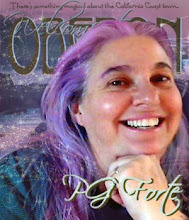 - Author PG Forte writes about this fun new canine-based holiday and tells you how to join in the festivities. 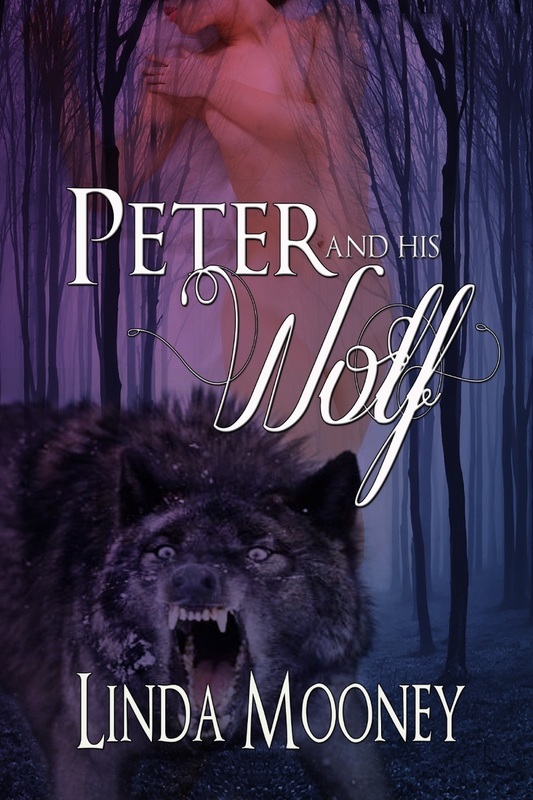 Plus: a list of fantasy wolf and dog themed books from the Here Be Magic gang! Sheets of ice are spreading across the human world, ushering in an ice age as the magic drained from Demonside turns that world into a desert. 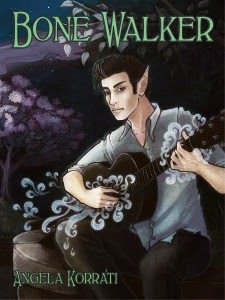 Angus and reluctant warlock Terrance have defected from Vinland to the Mayan Empire--a land of dark and potent magic. But the Mayans aren't offering sanctuary for free. Mage Saka has no tribe. He is now just another refugee fleeing the dying Demonside. He knows the conflict brewing now will be worse than the first demon war. Countries are banding together--not just against Vinland, but against all magic. Where will the powerful Mayan Empire stand? 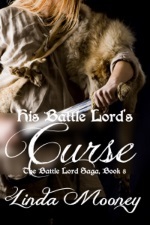 Angus might have the power to fight Vinland and the Warlock College, but the cost will be terrible. Saka is torn between helping Angus and stopping him. And Terrance would do anything for Angus, but he's terrified of the man Angus is becoming, even as Saka is warming to the idea of a relationship between the three of them. For those of you who don’t know what that —yet— I'm thrilled to introduce you to this brand new holiday invented by the seven year old son of author/editor Jax Goss. Well, that sounds like all kinds of awesome to me. I'm just enchanted by the idea. I think that's because it's fun (and God knows we need that now!) it's animal related, and it doesn't come with any unpleasant baggage, like so many of the established holidays do. Although, people being what they are, I suppose it's only a matter of time. But I digress. One of the things I really like about this holiday is that it’s become a force for good. All profits from any Wolfenoot-related art and/or merchandize are being donated to “canine based” charities. NVADG has been dealing with animals who were injured or displaced as a result of the devastating Camp Fire here in northern California. 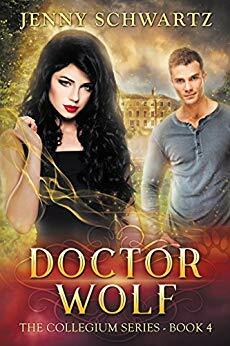 As part of my own attempt to honor the Spirit of the Wolf, I’ve put together a list of books by some of our Here Be Magic authors that feature dogs or wolves. 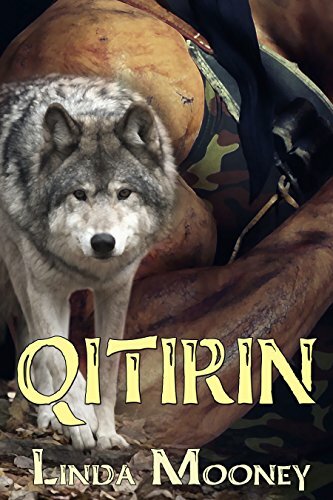 Admittedly, since we are all fantasy authors here, after all, most of the wolves are werewolves and most of the dogs are supernatural, but I can't see that it matters. Fictional wolves are still fictional, with or without the woo-woo factor. 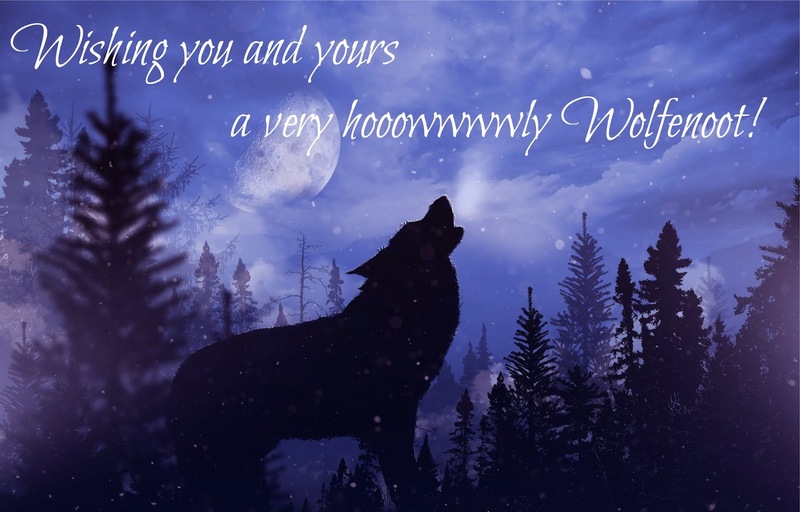 Enjoy and have a howly Wolfenoot! 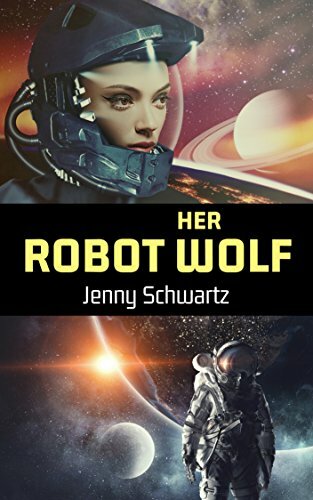 You'll also want to check out Her Robot Wolf, the first book in Jenny’s Shamans & Shifters Space Opera series. 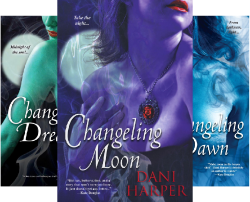 The Changeling Series by Dani Harper is comprised of 3 books (Changeling Moon, Changeling Dream, Changeling Dawn). 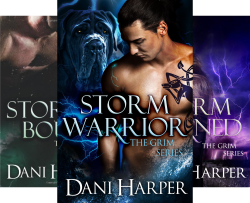 And in Dani’s Grim series, humans (and occasionally fae) are transformed into the supernatural Black Dogs known as grim. 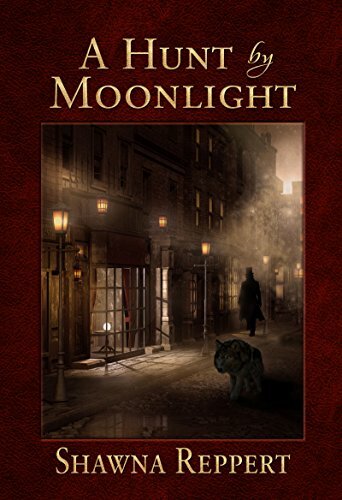 Motor City Wolf, by Cindy Spencer Pape, is part of the Urbana Arcana series. 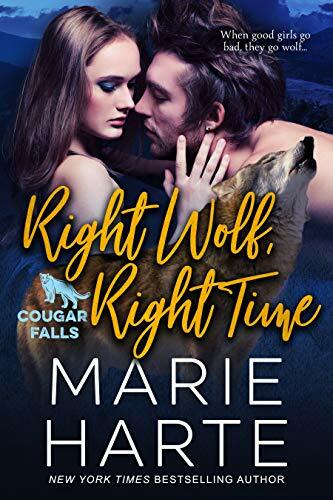 Right Wolf, Right Time is book number six in Marie Harte’s Cougar Falls shifter series. 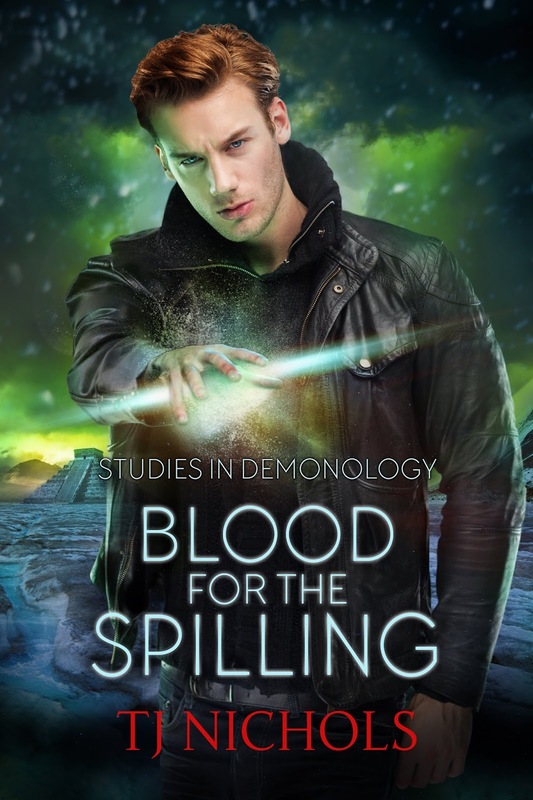 I won't have a new book out until next month, but TJ Nichols has the final book in their Studies in Demonology trilogy out next week (warlocks, climate change, magic and demons) so I thought I'd ask them a few questions. 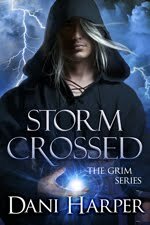 Shona: You have an urban fantasy series wrapping up next week. What is it like to end a series where you've spent three books with the same characters. You must know them really well. Is it hard to let go? TJ: I do know them well, which also mean I know exactly how to hurt them...it makes black moments that much darker. I thought it was going to be hard to let go, but the story was done and it ends on a really hopeful note. 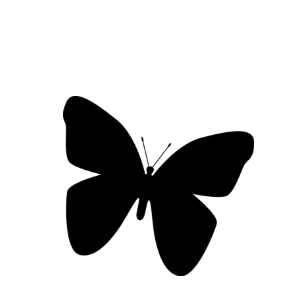 TJ: Because everyone has their own demons, I just made it literal rather than figurative. Shona: With Studies in Demonology over can we expect a new series soon? 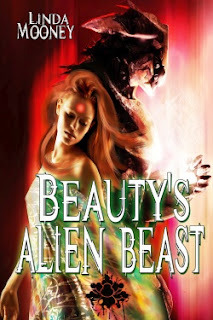 TJ: I have a new urban fantasy series starting in April/May of next year. 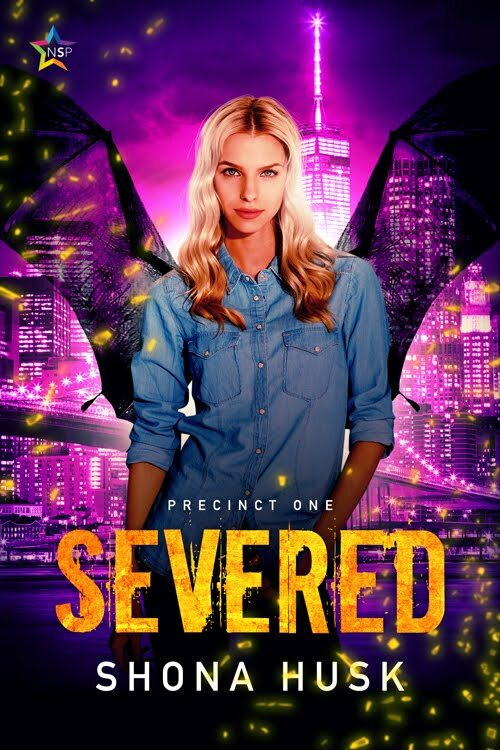 The Mytho series is set in San Francisco and has a dragon shapeshifter hero and a human cop who are most definitely not having a career ending relationship. There's a lot of mythological beings and it's not as dark as the Demonology series. Shona: Where do you get your ideas? TJ: All over the place. Sometimes from news article I read sometimes from just bits and pieces that drift together to form an idea. A lot of the time I have no idea, a character just appears in my head and starts talking about their problem, or I see them in a situation. Shona: Got any writing tip? TJ: Write. Read. Repeat. You get better at writing by writing. Read outside your genre to cast your creative net wide. And keep going, being an author isn't a sprint. 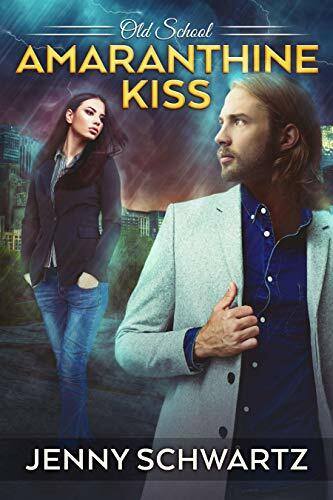 Few make it to the top, but if you're having fun and making a few bucks then you're doing ok.
"5 REASONS I WISH I WAS A ROMANCE HEROINE" - According to author Ruth Casie, there are other benefits besides the hot hero! "WISHBONES - A HISTORY OF LORE AND LUCK" - The tradition of breaking the wishbone is surprisingly old. Dani Harper looks at the fascinating folklore associated with this custom - just in time for Thanksgiving! 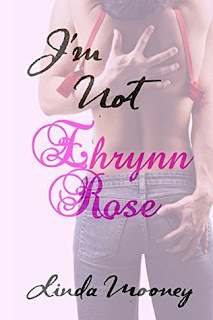 This week's Bring It Back(list) feature is "I'M NOT EHRYNN ROSE" by Linda Mooney. See all the details below! Now's your chance to read it the way it was originally written! The body was not hers, and there was the possibility her life could be in jeopardy. Our authors often take part in hosted giveaways and events, or sponsor their own, Here's the latest! 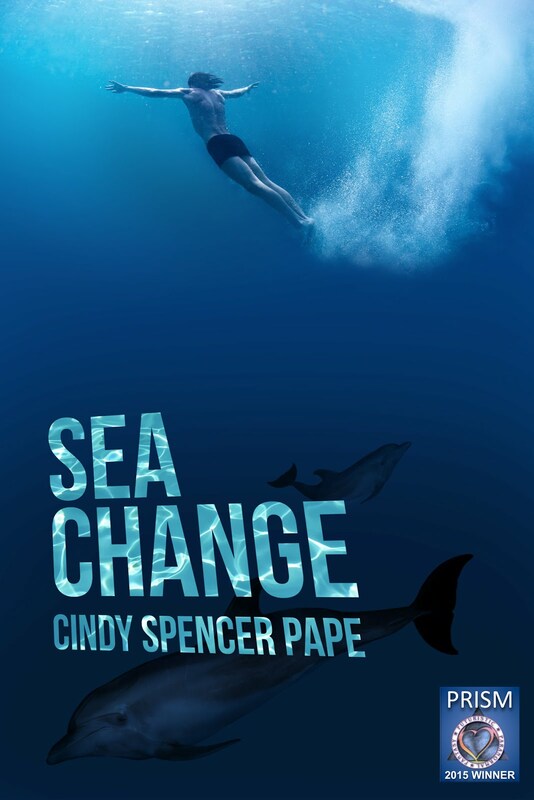 From November 1st - 30th, you can get the ebook for just 99 cents! (Available at this price only on Amazon and my website. Hosted by Night Owl Reviews, this annual event just keeps getting bigger and better! Lots of authors = lots of prizes to be won - Amazon gift cards, SpaFinder.com gift cards, Sephora.com gift cards and eBooks, eBooks, eBooks. Plus the grand prize is a KINDLE FIRE HD 8 WITH ALEXA! Best of all, it's open to the world, so no matter where you live, you're eligible to enter to win a prize.